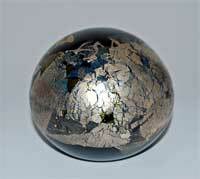 We specialise in twentieth century decorative and collectable glass. *Please note that we do not offer a valuation service. Currently we are not actively selling glass through this site but if you have specific enquires please do not hesitate to contact us. We are very experienced in packaging glass and to date no pieces have been damaged in the post. All pieces offered for sale are in excellent condition other than occasional minor imperfections commensurate with age. It is extremely important to us that our customers are happy with their purchase, and so you have the opportunity to return the item within three weeks if you are not completely satisfied. All we ask is that you let us know in advance and return the piece in the same condition with the same or similar packaging and we will return your payment upon receipt. In the unlikely event of your item arriving damaged or broken, please retain all packaging until a claim lodged with Royal Mail is concluded. We accept payment by personal cheque. It usually takes 7 days for payment to clear after which we will dispatch your order. We also take payment via PayPal if preferred. Please e-mail us if you would like to use this facility and we will send you an invoice. 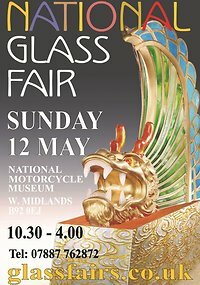 The National Glass Fair takes place at the National Motorcycle Museum, Solihull, West Midlands B92 0EJ. The next fair will take place on Sunday 12th May 2019. This major specialist fair will be open from 10.30am - 4.00pm, admission £5, accompanied children under 16 free. 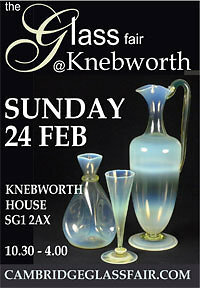 For all the latest news, exhibitor list, floorplans, directions etc, please visit www.glassfairs.co.uk. The Ickworth Glass Fair takes place at Ickworth House, Horringer, Nr. Bury St. Edmunds in Suffolk. The next fair will take place on Sunday 15th September 2019. This new specialist fair will be open from 10.30am - 5.00pm, admission to the gardens is £8.10 (children £4.05). Entry to the Fair is free. This is a leading specialist fair with around 70 exhibitors selling antique, collectable and contemporary glass from specialist dealers and glass artists. '300 years of glass in one day'. Open from 10.30am until 4.00pm, admission is £5 with accompanied children under 16 free of charge.